First off, a note about how I got to be the technical lead for this year’s event. I was originally signed on to work with the highly talented Nicole Jensen on the venue committee. 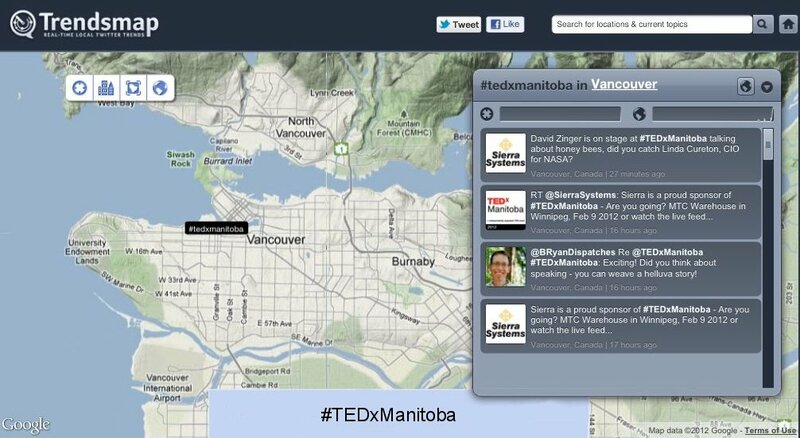 I had met Nicole at TEDxManitoba 2011 and enjoyed starting to work on the venue aspects with her team as we sorted out where to host our event this year. Some time last fall, the technical lead warned he would have to step down from that position due to other commitments. He had a conversation with Lisa MacKenzie. 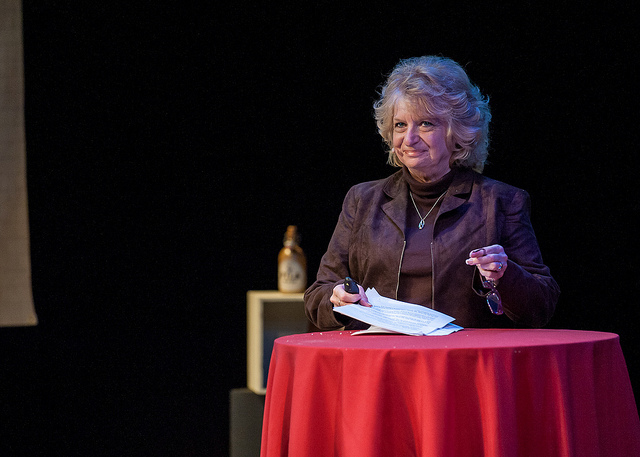 My name was dropped, further conversations ensued, and I was suddenly doing double-duty. In a fashion, it made sense for me to provide continuity between the venue and technical committees — they had been run as a single committee for 2011, and had to work very closely together. Nicole put forward a stage design concept over lunch one day, and I think it came together fantastically. Upon seeing it, someone remarked that it looked very “TED”, which I think was a good compliment. 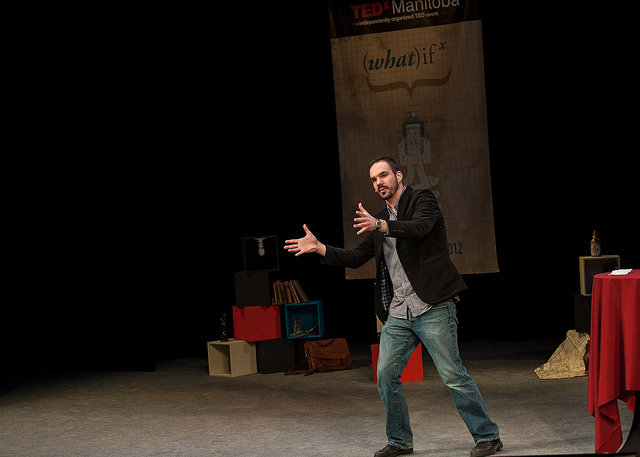 We really wanted to take the technical production of TEDxManitoba up a few notches this year. 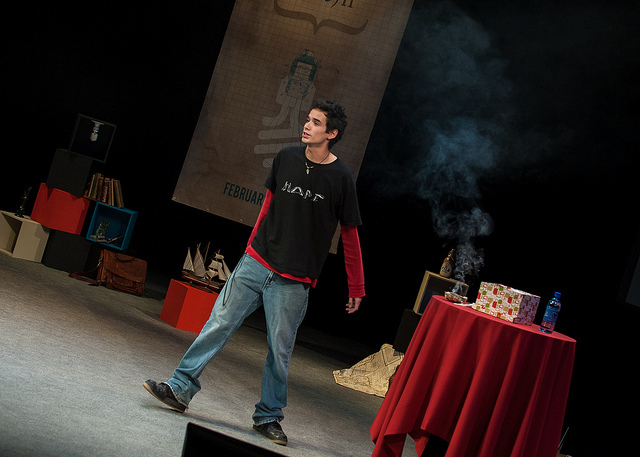 When we made our selection of MTC Warehouse Theatre as the venue for this year’s event, it happened to come with a few accoutrements, which included an impressive sound system and professional theatrical lighting – obviously! It also came with the services of Randy (lighting) and Greg (sound) who did a fantastic job getting us all set up and running pretty flawlessly. Big props to those guys. The next thing we did was to select someone who could capture and stream the type of video production we wanted to show, which meant we needed a multi-camera shot with a director calling live shots to the camera operators and selecting the image to display to the live view. Besides the camera views, we also wanted to feed the video producer an additional source — a direct video copy of the presentation slides and videos so he wouldn’t have to rely on a camera image of the screen. In addition to all that, everything had to be recorded so we’d have a complete record of all that we did onstage. For this job, we issued an RFP and after meeting with Craig Johnson (@arcimagemedia) from ArcImage Media, we awarded him the task. ArcImage also became a sponsor and were officially with us for the ride — we added Jeremy Williamson to his team and we were good to go. 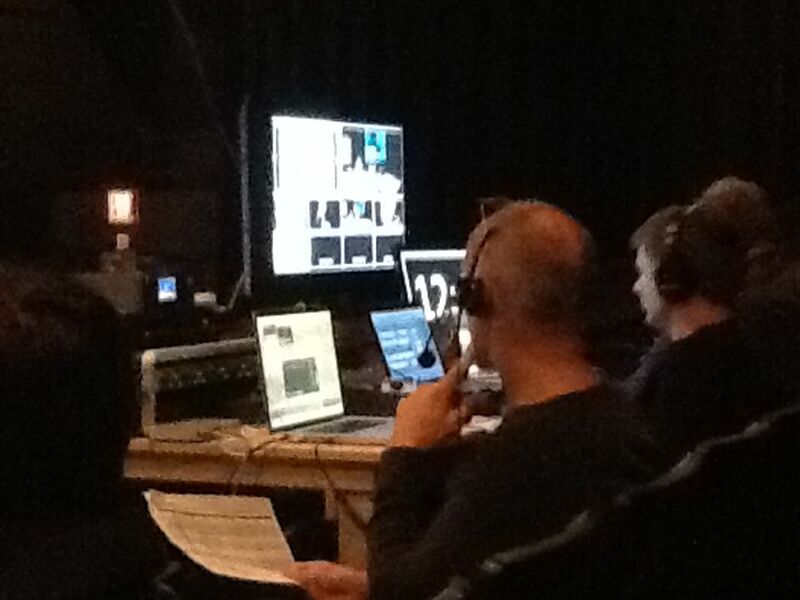 Now that the event is done, Craig and his crew still have the task of editing each speaker’s video into its final form so it can be uploaded for online viewing at any time… and the goal is to have that done in just three weeks. (If you know much about video editing, you’ll know that’s a lot of work in a short amount of time.) For a lot of the people who bring it together, the work goes on for a while even after we lock the venue doors at the end of the event. Feedback for the livestream was nothing but positive, including from last year’s emcee, Kevin Hnatiuk of New Media Manitoba. Really, How Big Was It? Our online audience was much harder to measure. We had almost 300 concurrent connections on the livestream, but this doesn’t account for the fact that some people were only able to watch for a part of the day. The livestream actually saw well over 800 unique connections throughout the day. Since a number of those were group viewings, the total number of people who were able to engage with the day’s program online and in person will be somewhere upwards of 1,000 people. Some companies and organizations hosted viewing parties for staff, which helped us gain decent-sized viewing audiences even outside the province. Next, we wanted to make sure the presentations went as smoothly as possible. This meant setting ourselves up with several laptops in both PC and Mac flavours so we could display both PowerPoint and Keynote presentations, as well as play back the video clips we needed. This meant we needed a video switcher that would switch between the different video sources to send to the projector behind the 9’x12′ screen we had on stage as well as to the video recording desk and the “confidence monitor”, which is an extra monitor at the front of the stage to give the speaker the confidence that the correct slide is being displayed without having to turn around and look behind them. We matched the confidence monitor with a second one to show a countdown timer so the speakers would all know where they were in their timeslot so they could be certain they were at the right point in their presentation. The big countdown numbers became a bit of the running gag with the emcees, but they know the benefit that it was to everyone in helping to keep everything running on time. Greg Mackling and Chuck LaFleche did an expert job at filling a variable amount of time as they made their introductions — we made a very conscious effort to start each talk at the time we scheduled it so that people tuning in online for a specific talk would be able to do so without missing the beginning of it. Some of the additional equipment for the event came from the Frontier School Division and some came from Stage Light Manitoba and River City AV, each of whom — when they heard about our event — promptly offered generous discounts on the rental fees as a way of helping to sponsor us even without formal recognition. (In fact, the number of people and companies who threw in what they could with no expectation of promotional space was a fantastic boost to us in bringing the event together.) To run the whole setup, we recruited Dave Straker and Andrew Monti, who got everything set up and kept it running smoothly through the rehearsal and event days with an extra hand from Michael Anderson. The last piece of the technical puzzle was filled by recruiting Bram Ryan to make sure each speaker was wired up with the correct microphone, keep the tech team in touch with what was going on backstage, and make sure that all the necessary props appeared and disappeared at the right moment and in the right place. It’s very easy to list all that in a single sentence, but pulling it all off flawlessly for the full day was a tall order that Bram seemed to pull off with nary a hiccup or frazzled nerve. The photos in this post were all snapped by Richard Ray, who we recruited as our official event photographer. 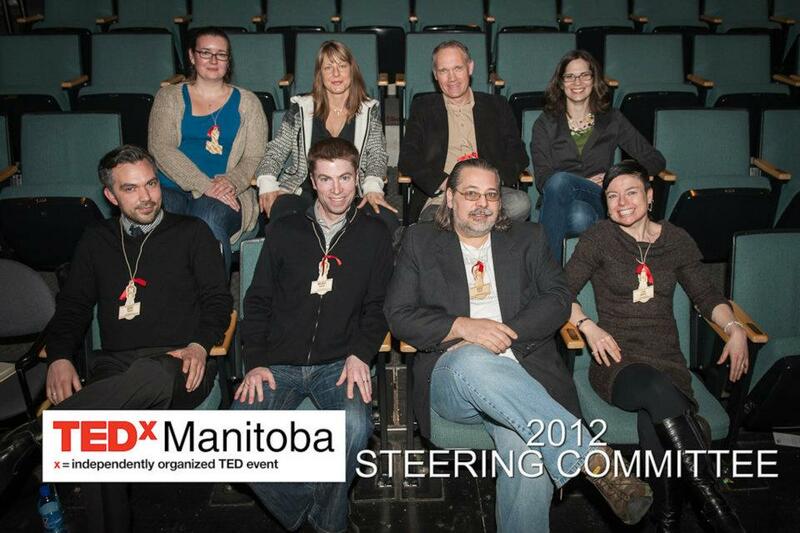 He’s uploaded an early batch of TEDxManitoba photos, with more to follow. As the lead for the technical committee for the latter half of the year leading up to the event after I was seconded from the venue committee, I lost track of how many times over the setup, rehearsal, and event days that I said how much I loved working with good people. 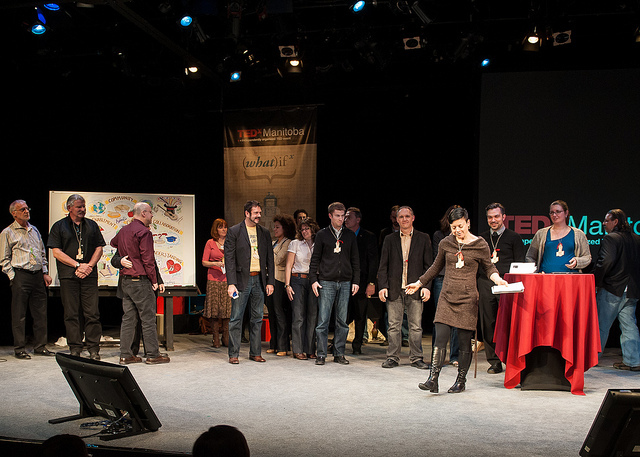 By the time the speakers were taking the stage, I was able to sit back and trust each member of the team to contribute their part. That left my only task as being the one appointed to worry about what was going to go wrong and jump up to fix whatever people needed help to resolve. And I’m proud of the team to be able to say I had almost nothing to do all day. Greg, Randy, Craig & crew, Jeremy, Dave, Andrew, and Bram — thanks for making us all look so good, and thanks for making it possible to show some really great ideas worth spreading. This entry was posted in Brent Toderash, Projects, Technology and tagged ArcImage Media, Ideas, Manitoba, MTC Warehouse, NetSet, rainy-day, Stage Lite Manitoba, TED, TEDxManitoba, Thinking Differently, Winnipeg by Brent Toderash. Bookmark the permalink. I was very impressed with the way the whole day came off, lots of good work and great decisions by a lot of smart people. And I was even more impressed with the speakers. Thanks for all your work Brent. I appreciate the chance to be involved.